Though it may seem a little premature, best laid plans being what they are, I thought I would let you all know where a majority of my focus is going to be for the next fourteen months. 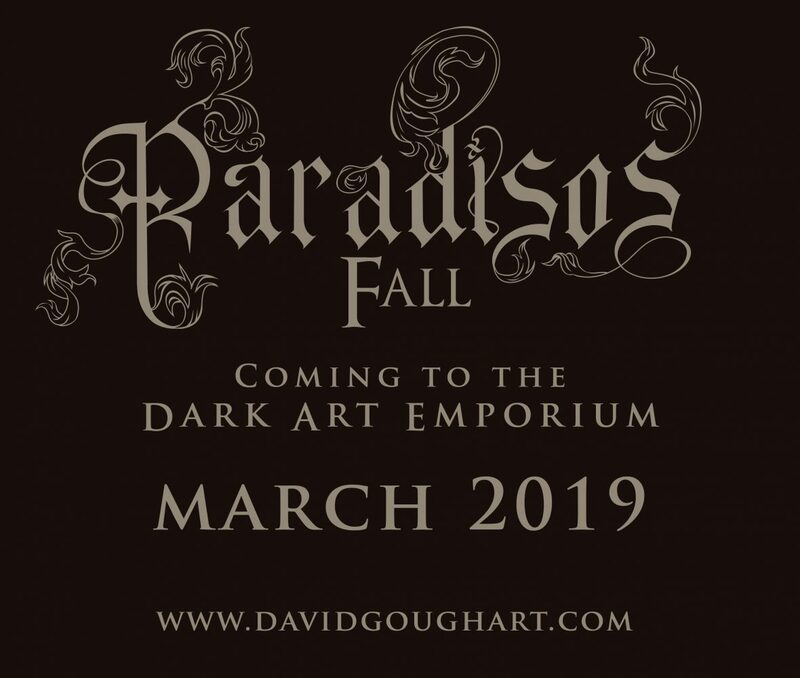 Following on from 2014’s show Purgatorium -I am honored to announce that Paradiso’s Fall, will be debuting at The Dark Art Emporium in Long Beach, March 2019. Though it may seem a ways off, experience has shown me that if time waits for no one, then it accelerates at light speed in the studio. Over time, I’ll be posting works in progress, possibly even video peaks throughout the next twelve months, so I hope you’ll continue to follow me as I take another excursion down the rarebit hole. As always the support and encouragement you provide sustains me like a manna, so my indelible thanks.